It's Birthday Week! I'm taking it easy this week. 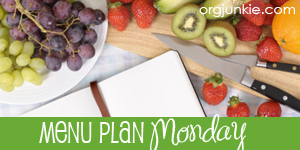 There are many more menu plans over at I'm an Organizing Junkie! 2 comments on "MPM: Feb. 7 - 13th"